Design and develop image analysis algorithms that integrate with your products. No coding required. It doesn't matter if you are a computer vision expert or not, SemanticMD Cloud has the tools that you are looking for. Our intuitive interfaces and rich APIs will help you develop and scale your medical image analysis app. We provide custom templates designed for medical imaging to easily annotate medical images and reports. Build your training dataset with us using our human-in-the-loop task manager and you can easily download your enriched data or train an algorithm with us. We provide deep learning APIs and medical image processing pipelines that are tuned for your modality. You can start using containerized SemanticMD AI software in your clinical workflow immediately. Analyze chest X-rays for signs of tuberculosis, diagnose diabetic retinopathy in fundus images, find lung nodules in CT, and more. 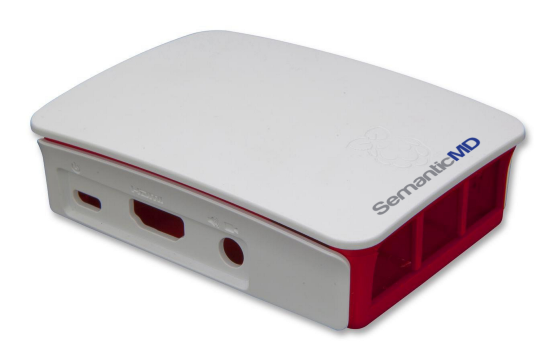 In honor of Pi Day (March 14), we are launching SemanticMD AI Box, our TB detection solution deployed on a Raspberry Pi.